Cider Summit SF, which returns to the Presidio on April 22 from 1– 5 p.m., has announced the final lineup of nearly 200 ciders from over 60 producers, including local, regional and international favorites. More than half of the ciders at this year’s event will be new, including 16 new producers. Featured local California cideries at the event will be Ace Cider, 101 Cider House, Brooks Dry Cider, Common Cider, Crooked City Cider, Ethic Ciders, The Far West Cider Co., Hemly Cider, Hidden Star Orchards, Horse & Plow, Humboldt Cider, Indigeny Reserve, Gowan’s Estate Heirloom Cider, Golden State Cider, Lassen Traditional Cider, Mission Trail Cider Co., Pitsnogled Cider, Redwood Coast Cider, Santa Cruz Scrumpy, Red Branch Cider, Santa Cruz Cider Co., Scar of the Sea, See Canyon Hard Cider, Sierra Cider Co., Tag + Jug Cider, Two Rivers Cider Company, Tilted Shed Ciderworks, Sonoma Cider, South City Ciderworks, WildCide Hard Cider, Wrangletown Cider Co., Tin City Cider Co. and William Tell Cider. Northwest cideries include 2 Towns Cider House, Atlas Cider, Cider Riot, E.Z. Orchards, Dragon’s Head Cider, Finnriver Farm & Cidery, Seattle Cider Co., Tieton Cider Works, Wandering Aengus & Athem and Schilling Hard Cider. East Coast cideries will be represented by Eden Specialty Ciders. International cideries on hand will include Aspall Cyder House, Craigie’s Ballyhook Flyer, The Good Cider, Newton Court Cider, Sea Cider Farm & Cider House, Worley’s Cider, Winesellers, Ltd., Dunkertons Cider and William’s Orchards. What’s on the Agenda at Cider Summit SF? Choose from nearly 200 ciders from around the world to sip on and meet and mingle with the cidermakers. Taste a variety of unique cider cocktails from locally produced J. Seeds Cider Whiskey and Calvados, an apple brandy from the Normandy region in France. 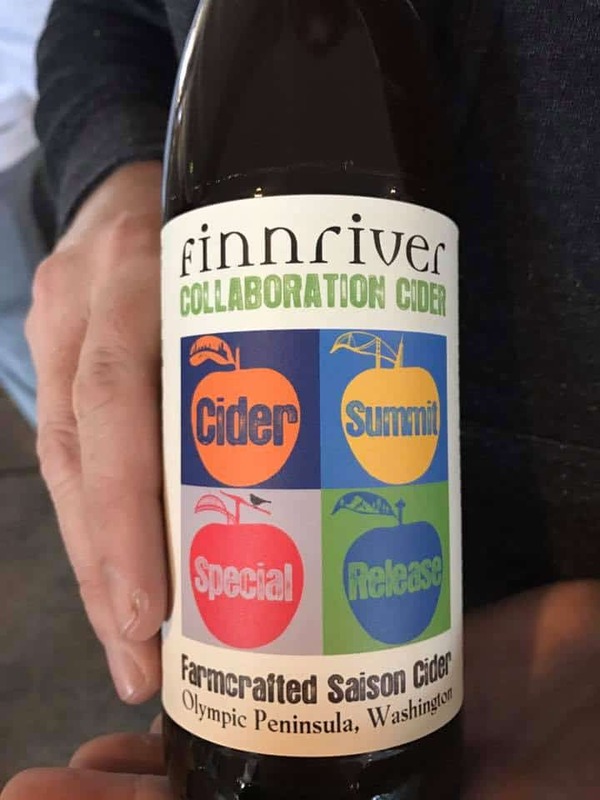 Indulge in an exclusive tasting of a limited edition Finnriver-Cider Summit collaboration cider, a Saison/Farmhouse style cider made from a select blend of Washington Certified Organic apples fermented with a Saison ale. Sip on specially produced batches of cider as part of the Fruit Cider Challenge, which will include 13 entries and feature ciders made from guava, apricot, blueberry, black currant, cherry and passionfruit. Guests will vote for their favorite and the winner will be announced at the conclusion of the event. Enjoy specially paired food selections from the Whole Foods Market Truck, Slow Hand BBQ and others. Hang out in the “Dog Lounge” hosted by Berkeley Humane & Wag Hotels. Shop in the event store featuring Cider Summit SF t-shirts and other merchandise. Tickets are $40 in advance (also available at San Francisco area Whole Foods Markets) and $45 at the door, cash only. VIP tickets are also available exclusively online in advance for $50, which includes exclusive early access to the event from 12–1 p.m. and two additional tasting tickets. Designated driver tickets are available for purchase at the event for $5. Accompanied minors will be admitted at no charge. Purchase tickets online. Cider Summit is committed to working with the community and various nonprofit organizations. A percentage of ticket sales from the event will support The Institute for Myeloma & Bone Cancer Research and Berkeley Humane. For the full lineup of cidermakers and ciders available for tastings at the event, visit cidersummit.com. Stay up-to-date on additional details on Facebook and Twitter using the hashtag #CiderSummitSF.